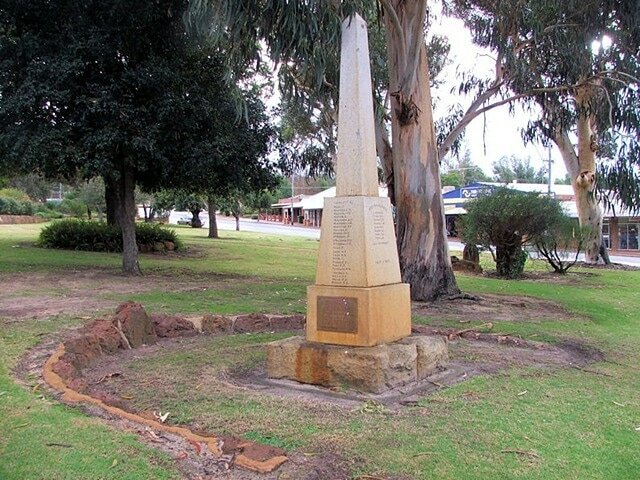 Erected by the residents of Gingin on July 12th 1942. In honour of Jim Gordon. V.C. whose gallant action on the battlefield in Syria. on July 10th 1941. won him the supreme military distinction.